The first commercial building in Mudgeeraba was a hotel built for William Laver around 1883, near the present Uniting Church on Franklin Drive, which it doubled as the local postal receiving office and became the nucleus for the first small township that grew on the outskirts of the present-day village. Soon a blacksmith shop operated nearby, as well as a store and shire office. Numerous dairies and saw mills operated in the area, and a provisional school was held for many years in the Presbyterian Church. By 1911 the government census reveals the population of Mudgeeraba had risen to 166 and the town contained the services of a store, hotel and railway trucking yard for sheep, cattle and pigs. After 1912, the commercial premises began relocating to the present site, near the railway station, and a new school was built in School Street. The population grew and smaller house blocks became available for sale. Public subscriptions funded the building of a memorial hall as a tribute to the local soldiers who had lost their lives during the war. Bullock teams hauled timber to the railway station and Arthur Sprenger planted the Poinciana trees that still now grace the Village Green in the centre of town. 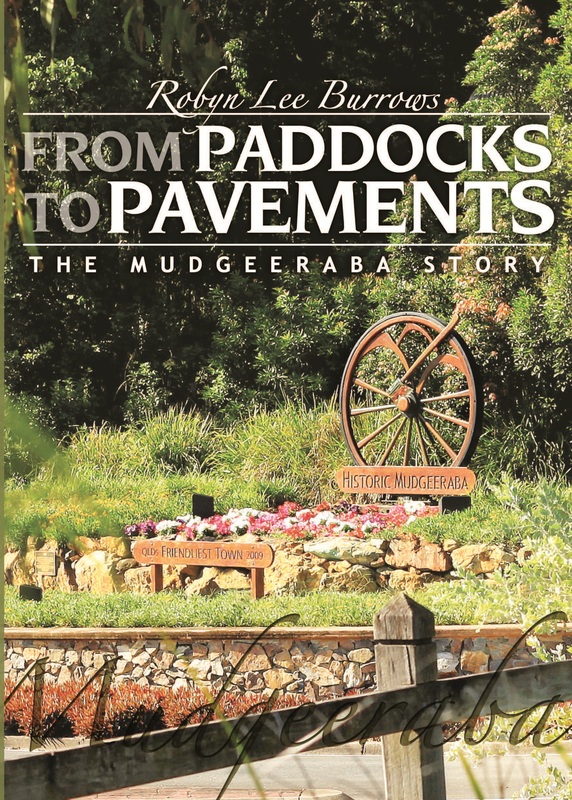 From Paddocks to Pavements: the Mudgeeraba Story presents a chronological general history of the general area – also taking into account Bonogin, Neranwood, Austinville and Upper Mudgeeraba – interspersed with anecdotes from those who have lived this history, reproduced newspaper articles of the times, as well as a broad range of photographs and sketches. The year was 1892. Henry Lawson — poet, short story writer, fervent Labor supporter — was finding it almost impossible to make a living in Sydney, and the few pounds he did earn were quickly spent in the nearby bars of Lower George Street. He was broke, alcoholic and “on the ropes”. Henry Lawson: A Stranger on the Darling begins when the editor of the Bulletin sent Lawson to the bush to save himself. At the time, Lawson was doing public battle with A. B. “Banjo” Paterson. Their argument: who could really lay claim to being “the Bard of the Bush”? Paterson argued that Lawson, a city slicker, had no right to the title; this was Lawson’s chance to experience life outback. Lawson’s time in the outback gave him a new understanding of the Australian landscape and people, and he began to write about outback life from the heart. His sojourn in Bourke, and surrounds, inspired some of Lawson’s most memorable stories and poems, peppered with characters he met “on the track”. Here, father and daughter team, Robyn Burrows and Alan Barton, themselves from the Bourke region, reveal the true stories behind these works. They uncover, too, eight “new” poems attributed to Lawson, forgotten since that time. Dairies and Daydreams, Published by Boolarong Publishers, Brisbane, 1989, out of print. 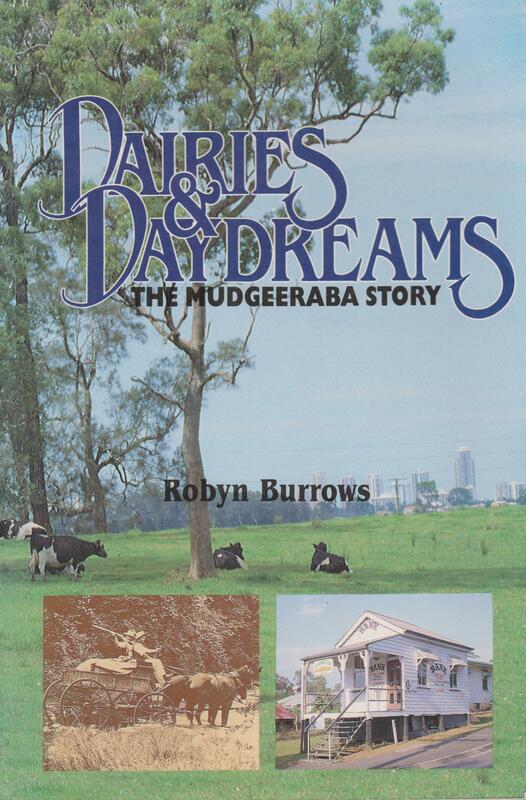 Dairies & Daydreams is a local history of the township of Mudgeeraba, which is located in the Gold Coast hinterland. The book contains information on early settlers, development of transport, timber and dairies, local buildings, the war years, etc. 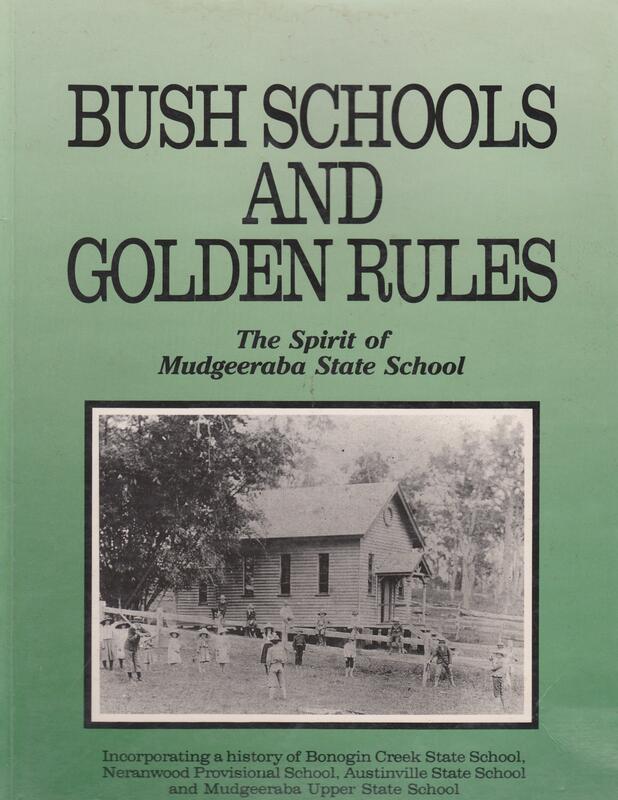 Bush Schools and Golden Rules is a history of Mudgeeraba State School, and its predecessor, Mudgeeraba Lower Provisional School. The book also contains histories of other now-defunct local schools at Bonogin Creek, Neranwood, Austinville and Upper Mudgeeraba, plus pupil enrolments at these schools.